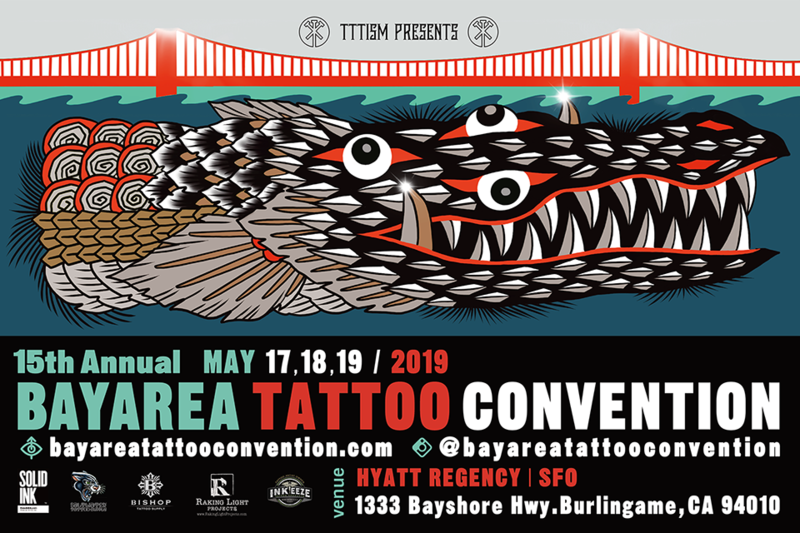 In collaboration with the Bay Area Tattoo Convention of some of the Bay Area’s most iconic tattoo shops, this exhibition focuses on seven major icons in American Traditional Tattooing, their origin stories, early forms and how they’ve evolved in contemporary tattooing. Through historical research, archival works, and both artwork and photographs from contemporary tattoo artists, we’ll explore the Rock of Ages, Panther, Rose of No Man's Land, Wolf Poison, Sacred Heart, Diving Swallows, and Dragon icons. Our opening reception will also function as the official opening party for the Bay Area Tattoo Convention and incorporate live tattooing and live models alongside all the artwork and a musical headliner.